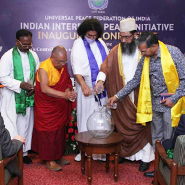 Quito, Ecuador—UPF-Ecuador held events in the cities of Guayaquil and Quito to celebrate the UN International Day of Peace 2017. 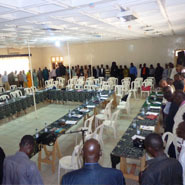 Bangui, Central African Republic—“Forgive, Love, Unite” was the theme of an interreligious meeting that was attended by more than 85 religious leaders. 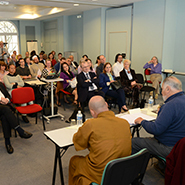 Paris, France—In an atmosphere of mutual respect, speakers from several faiths kept the attention and won the hearts of participants at UPF-France’s third interreligious meeting of the year. 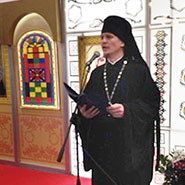 Moscow, Russia—The secretary general of UPF-Eurasia was one of the special guests at the opening ceremony of an exhibition and book fair organized by the Russian Orthodox Church. 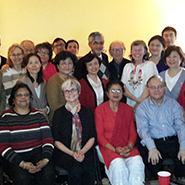 Vancouver, Canada—A longtime member of the Baha’i Faith spoke about the origins of her faith and of its belief in humankind’s spiritual unity. 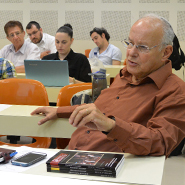 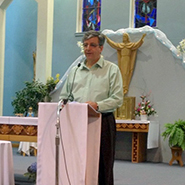 Netanya, Israel—For its March 2015 meeting, the Jerusalem Interfaith Forum visited the city of Netanya and was warmly welcomed by Rabbi Edgar Nof and his Netan-ya Congregation community. 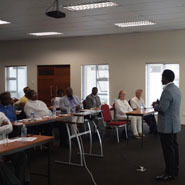 Johannesburg, South Africa - The executive committee of the All African Federation of Churches (AAFC) attended a three-day introduction to the teachings of UPF Founder Dr. Sun Myung Moon. 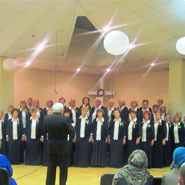 St. Petersburg, Russia - An interfaith music festival at a Christian university featured two songs with lyrics written by UPF Founder Dr. Sun Myung Moon. 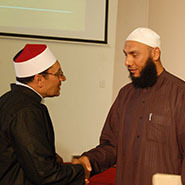 In support of UN General Assembly Resolution 64/81 on the Promotion of interreligious and intercultural dialogue, understanding, and cooperation for peace and the proposal introduced by H.M. King Abdullah II of Jordan, UPF issued a statement in support of interfaith efforts to address critical global problems.